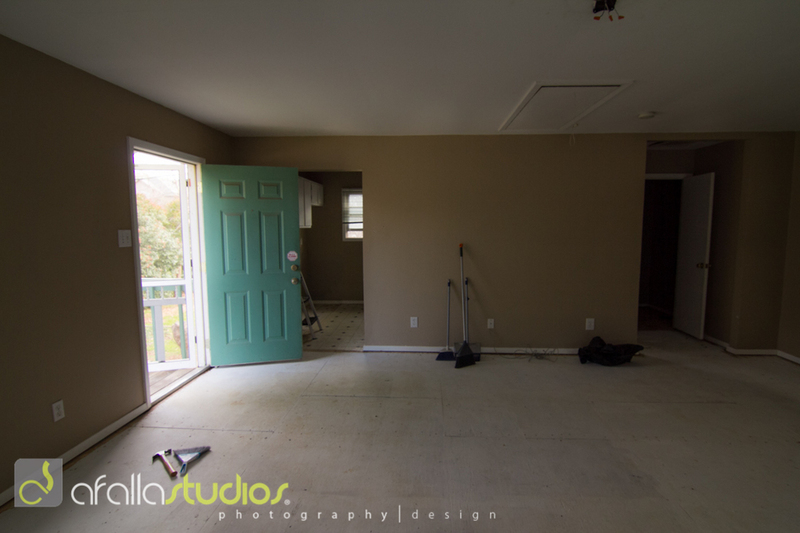 In the next few months, AfallaStudios will be turning the upstairs studio apartment into a renovated photography studio. This weekend, we tore out the old carpet, got rid of the electric stove and refrigerator (thanks to the junk collectors stopping by to see what we were throwing away), and old junk that I just needed to get rid of. And the part that I really enjoyed doing today was pulling carpet staples from the base floor so that we can prepare for the new hardwood floors. We already took out some of the kitchen cabinets and plan on turning the galley style kitchen into a semi-galley (one side of the kitchen to have counter tops). We're not installing an oven and will only have a small sink, new refrigerator, a built-in microwave along with a Keurig coffee maker for clients. Eventually, we'll be changing out the staircase because it was badly made and replace it with a more secured staircase including a new and larger deck. There's lots to do, however, we're not in any rush. We just want it to look great and done right the first time.